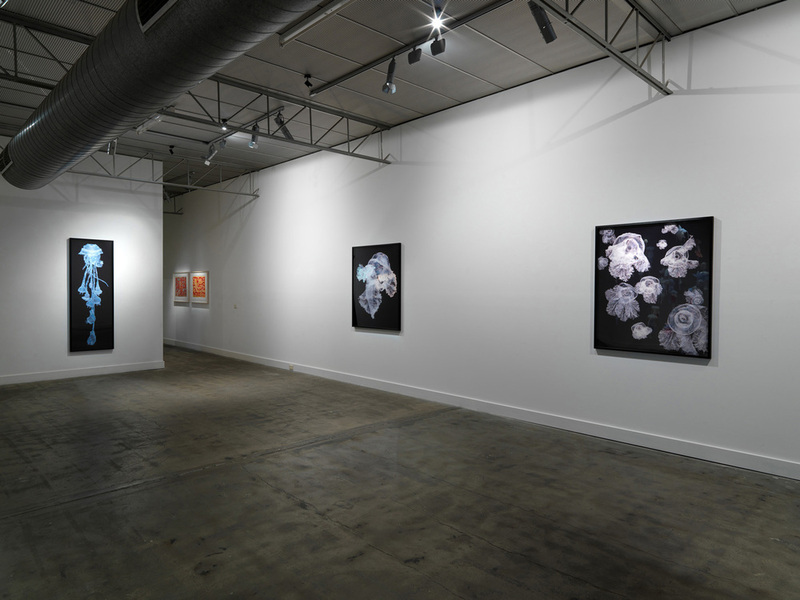 In Smack, jellyfish forms have been assembled from a collage of components. These elements include the detritus of contemporary technologies - including cameras, computer parts, mobile phones, wiring and electrical parts - combined with organic source material such as leaves and seaweed. 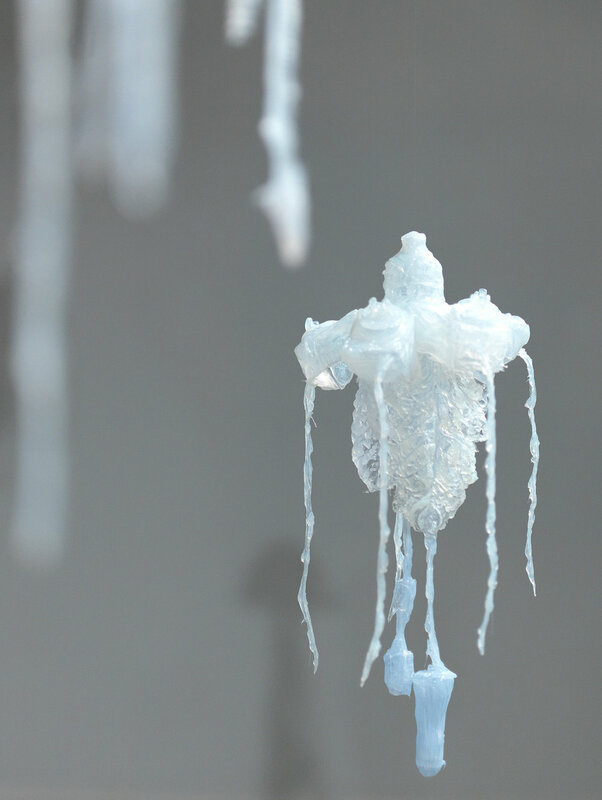 Selections of these materials are cast using silicone and then hand-sewn together to create forms that resemble jellyfish. The resulting swarm – or smack, as the collective noun is properly known – is displayed as an installation of semi transparent, suspended forms. 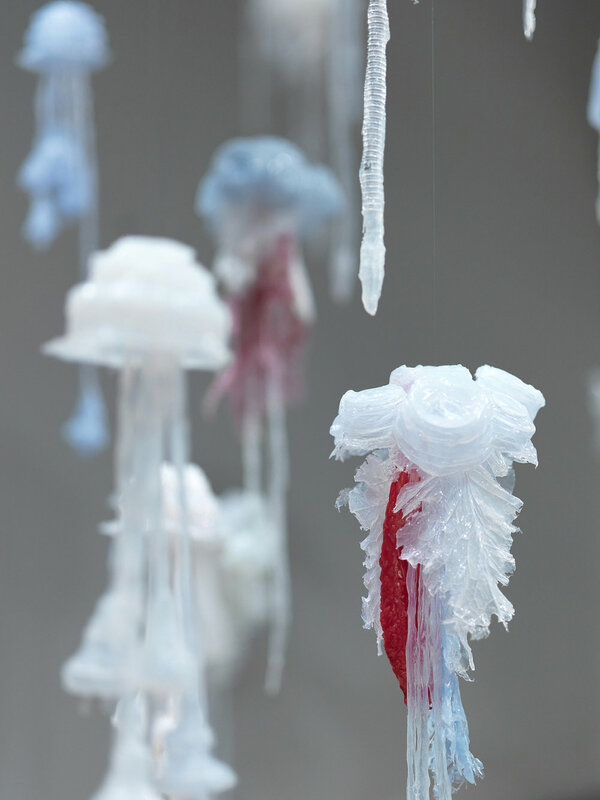 A selection of these ‘jellies’ have been placed in a digital scanner and ‘photographed’. Some digital post-production work is also employed to create large scale photographic images. 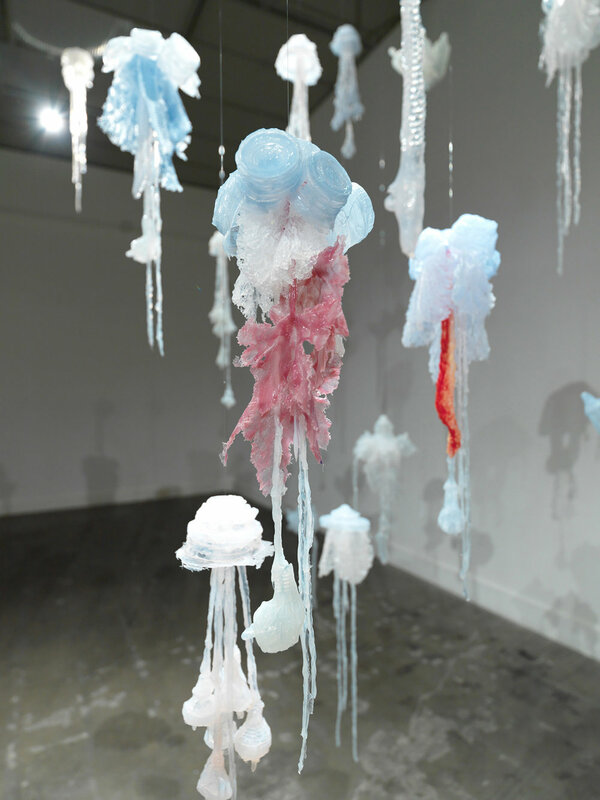 The use of the mutated jellyfish motif in the work is emblematic of the broad issues of consumption and environmental degradation, and the possible result if nothing is done to ameliorate it. Increasing ocean temperatures due to global warming, and global overfishing which removes jellyfish predators, have resulted in an exponential increase in jellyfish numbers. Some scientists are predicting that within 100 years, jellyfish may be the only living being in the sea. 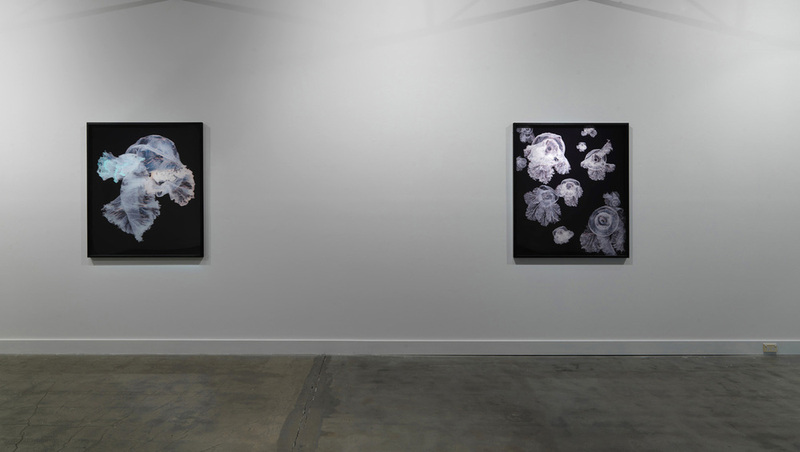 Through the collection of these forms, and mould casting and hand sewing processes, the works reflect on, and embody, an intimate attempt to recuperate and draw appreciation for the natural world and our symbiotic relationship to its future.